Pregnancy discrimination in the workplace means treating a job applicant or an employee unfavorably because of pregnancy, childbirth, or a related medical condition. It can also include retaliation for taking paid family leave. Pregnancy discrimination is a serious offense. Federal, New York state, and New York City laws protect employees from pregnancy discrimination, including workplace harassment because of pregnancy. If you experience pregnancy discrimination in the workplace, a New York pregnancy discrimination lawyer can help. It is illegal for an employer to make employment decisions based on pregnancy. Employers cannot make employment decisions based on your pregnancy, childbirth, or a related medical condition instead of your skills or how well you do your job. Pregnancy discrimination laws cover current pregnancies, past pregnancy, potential or intended pregnancy, and medical conditions related to pregnancy or childbirth. 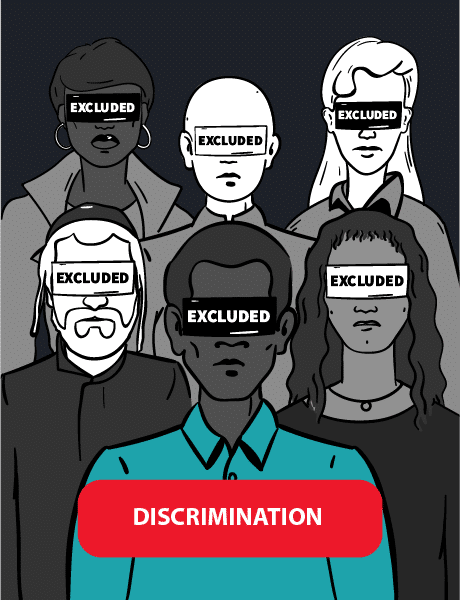 Discrimination laws govern decisions about hiring, firing, discipline, distribution of benefits, promotion, compensation, job training, or any other condition of employment. Pregnancy discrimination is a serious offense. New Yorkers are protected from pregnancy discrimination by employers at the federal level by Title VII of the Civil Rights Act of 1964 (Title VII) as amended by the Pregnancy Discrimination Act of 1978, the Americans with Disabilities Act, and the Family and Medical Leave Act (FMLA). At the state and local level, the New York State Paid Family Leave Act (NYSPFL), the New York State Human Rights Law (NYSHRL), the New York State Disability Law, and the New York City Human Rights Law (CHRL) all protect against pregnancy discrimination. If you have been the victim of illegal pregnancy discrimination, you are protected under federal, state, and New York City laws. Contact a New York discrimination lawyer to file a claim. It is violation of the law to make employment decisions – including hiring and firing – based on a current or past pregnancy or pregnancy-related conditions. You apply for a job for which you have experience and excellent qualifications, and you are visibly pregnant at the interview. The hiring manager decides not to offer you the job because he doesn’t want to deal with a new employee taking parental leave. You do not inform your job that you are pregnant because you fear that it would affect your chance of receiving your annual bonus. By the time bonuses are announced, your boss has commented to coworkers that you look pregnant, even though you have not informed the company. You are denied a bonus while every other employee receives one. You tell your boss that you are pregnant and plan to take parental leave for three months when your baby is born using the Family and Medical Leave Act. Even though you qualify for FMLA protection, your boss says he can’t afford a temp replacement, and you are fired. Laws against pregnancy discrimination also protect employees from not receiving promotions, including tenure, because of pregnancy or a related medical condition. You have worked for your company for several years, receiving exemplary reviews and an employee-of-the-year award. Yet when you apply for a promotion right after returning from parental leave, the position is filled by a less qualified employee because the company said his service record was uninterrupted. You are a school librarian on a three-year tenure track. You have always received excellent performance evaluations, including after you returned from your recent maternity leave. However, as your tenure review draws near, your boss questions whether you can put in the necessary hours at work because you are a new mother. You are denied tenure. Laws against pregnancy discrimination also cover pregnancy-related medical conditions, including lactation and breastfeeding, infertility, and abortion. It is against the law to discriminate against an employee because she intends to become pregnant, chooses to end a pregnancy, or chooses to breastfeed her child. It is also unlawful to ask an applicant or employee if she intends to become pregnant. An employee tells her boss that she is trying to get pregnant. In her performance evaluation a week later, the boss says she is not committed enough to her job because motherhood will make her too busy, even though she has a record of good reviews. Her boss then tells the employee that she will not receive a pay raise because of that single negative evaluation. An employer learns that one of their workers once had an abortion and decides that the woman’s choice does not fit with “company values.” She is let go from the company. After giving birth and returning from parental leave, a female employee informs her supervisor she will require 2-3 breaks per work day to pump breastmilk for her child. He decides that she should no longer be in a customer-facing position because customers might not approve of breastfeeding, and reassigns her to a lower-paid position. A female accountant lets her boss know privately that she is currently undergoing infertility treatment and may require time off for medical procedures. Her boss says that any time off will be unpaid, even though other employees are given paid time off for doctor’s visits. During a locker check at a restaurant, the manager finds a female employee’s birth control pills. She informs the employee that since the company doesn’t believe in contraceptives, the employee is being fired. These forms of pregnancy discrimination are illegal, and some may also constitute gender discrimination. New York City law considers pregnancy a disability. In New York City, if you are not able to perform certain duties of your job during or after your pregnancy, your employer must provide reasonable accommodations that allow you to do your job. For example, your employer can change the type of tasks you do, offer bathroom breaks, give permission to have snacks or water at your workstation, or allow you periodic rest breaks if you have to stand for long periods of time. Some pregnancy and post-pregnancy conditions may qualify as disabilities under the ADA if they substantially limit a major life activity or the normal functioning of a bodily system. For example, anemia, sciatica, gestational diabetes, preeclampsia, morning sickness, swelling in the legs, and depression could qualify as ADA disabilities. Also, if you are temporarily disabled by a pregnancy, you may be entitled to temporary benefits under the New York state disability insurance. New York State Paid Family Leave (NYSPFL), which took effect on January 1, 2018, offers additional benefits. Once you have your baby, you can take up to 8 weeks of paid leave in order to bond with your newborn. The amount of paid leave will increase to 10 weeks in 2019 and to 12 weeks in 2021. You are entitled to receive 50% of your salary up to $652.96 per week. You may not collect unemployment insurance during your leave. You are required to give your employer 30 days notice before taking the leave. If that is not possible, your notice must be as soon as “practicable.” The notice should explain what type of leave is necessary and when and how long you anticipate being out on leave. Your employer should provide you with an application, which will be submitted to your employer’s paid family leave insurance carrier. Your employer may request additional documentation, such as proof of the birth. Your employer cannot discriminate or retaliate against you for taking leave under the NYSPFL. You are entitled to job protection, meaning you cannot be fired and you must be reinstated to the same or an equivalent position. If your employer wrongfully refuses your request for leave or terminates you because you sought leave, an administrative law judge with the Workers’ Compensation Board could order your employer to reinstate you, pay any lost wages, pay attorney’s fees, and pay up to $500 in penalties. You are entitled to benefits under the NYSPFL regardless of your immigration status and regardless of the number of workers your employer employs. You are covered by this law even if you are a domestic worker who is the only person working for your employer. If you are covered by the Family and Medical Leave Act, you may be entitled to take up to 12 weeks of unpaid leave for the birth of your newborn. Your job is protected during this leave period. You are allowed to take leave under both the FMLA and the NYSPFL, but your employer can require you to take time off for the same event concurrently. However, your employer must notifiy you of this requirement before your leave starts. You cannot take leave under the NYSPFL and short-term disability at the same time. You must take one and then the other. Also, you cannot take more than 26 weeks of combined short-term disability and NYSPFL leave in a 52-week period. Once you have had your baby and returned to work, your employer is required by New York law to give you paid breaks for the purpose of breastfeeding or pumping breast milk for up to three years following childbirth. Your employer must make reasonable efforts to provide a room or other location, in close proximity to the work area, where you can express milk in privacy. No employer may discriminate in any way against an employee who chooses to express breast milk in the workplace. Employers Cannot Treat You Unfavorably Because Of Stereotypes Associated With Pregnancy. The law prohibits employment decisions based on stereotypes and assumptions about the abilities of pregnant women, including their commitment to their job. A pregnant employee takes two days off because of a cold, and the same week has a routine doctor’s appointment that requires time off from work. Her supervisor says that her absence is clear evidence that she is not committed to her job and fires her, even though other employees with the same attendance record were not let go. A visibly pregnant job applicant lets her potential employer know that she plans to work until her due date, which is after the company’s busy season. The hiring manager says the company can’t risk that she will change her mind and leave during the busy season, and does not offer her a job. A pregnant teacher plans to take her parental leave over the summer between school years, and thus will not miss any work. Her school fears that she will not return to work after she has a baby and decides not to renew her contract. Employers cannot make discriminatory employment decisions with the excuse that the decision was driven by business concerns such as the effect on employee relations or the negative reaction of clients or customers. Unintentional pregnancy discrimination can also be illegal. Job policies that appear neutral can be discriminatory if they disproportionately harm workers who are protected by pregnancy discrimination laws, as long as the policy is not job related. This is known as disparate impact, and it applies when an employer’s requirement harms women who are pregnant or dealing with pregnancy-related conditions more than other employees. For example, a job that required employees to lift up to 50 pounds disproportionately excludes pregnant women, and may be discriminatory unless the employer can show the weight lifting requirement is rationally related to job performance. It is against the law to harass a woman because of pregnancy, childbirth, or a related medical condition. Anyone can be the victim of discrimination even when no employment decision is involved if pregnancy-related harassment creates a hostile work environment. A hostile work environment can be created by jokes, slurs, or offensive or derogatory remarks, as well as offensive images, even if they are not posted in a public area at work. Under federal and state law, if comments or acts are not offensive in the extreme, they constitute harassment only if they occur often enough to create an intimidating, hostile, or offensive work environment. However, a single incident such as a physical assault might be so threatening and insulting that it could rise to the level of harassment. It is a misconception that only the target of hostile comments can be the victim of a hostile work environment. You can be a victim even if you are not the person being targeted by the offensive behavior, and even if you are not pregnant or dealing with pregnancy-related conditions. It is a misconception that only your boss can create a hostile work environment. Employers have a responsibility to prevent pregnancy discrimination. Discrimination can happen in any workplace. If you think you are the victim of discrimination, there are several steps you can take right away. Put your complaints in writing, and keep copies at home. A New York pregnancy discrimination lawyer can help protect your rights. If you complain about pregnancy discrimination, it is illegal for your employer to take any action against you. As long as you had a good faith belief that discrimination or harassment occurred, your employer is barred from taking any action against you for speaking out or participating in any investigation or proceeding. It does not matter if an agency or court determines that there was no discrimination. If you choose to file a claim for pregnancy discrimination, you have several options. You can file a complaint with the U.S. Equal Employment Opportunity Commission (EEOC), which handles violations of federal law. The New York State Division of Human Rights handles NYSHRL violations, and the New York City Commission on Human Rights is responsible for CHRL violations. Applies to companies with more than 15 employees. Includes employment agencies, unions, and federal, state, and local governments, but not independent contractors or domestic workers. Applies to companies with more than 4 employees, including state and local governments and domestic workers. Applies to companies with more than 4 employees, including municipal employers and unpaid interns, as well as independent contractors under certain conditions. Laws against pregnancy discrimination include financial relief for victims of discrimination. A New York discrimination lawyer can help you recover back pay, damages, and other money from your employer. Back Pay: Back pay includes all money you would have earned without discrimination, such as wages, bonuses, benefits, and more. Reinstatement: The court can order your employer to rehire you if you were wrongfully terminated, or to give you a promotion you were wrongfully denied. Front Pay: Front pay compensates victims of pregnancy discrimination for their lost wages and benefits. Courts determine front pay based on their calculation of how long it will take for you to return to the compensation you had before the discrimination. Compensatory Damages: Victims of pregnancy discrimination may have out-of-pocket costs for therapy, lost wages, childcare costs, or job search costs. Compensatory damages also includes emotional pain and suffering. Punitive Damages: Punitive damages punish your employer to discourage future discrimination. Under New York City law, employers may owe you punitive damages if they showed negligence, recklessness, or a conscious disregard of your rights. Liquidated Damages: Under certain laws, victims of discrimination also qualify for liquidated damages equal to the amount of back pay owed. However, pregnancy discrimination laws provide compensatory and punitive damages instead of liquidated damages. Attorneys’ Fees and Costs: The court can order your employer to pay for your attorney and any court costs if you win your case.